This week our mailman that happens to be female, delivered a long anticipated package from an individual in Ohio. It was so exciting to receive the phone call at work that a large box arrived in the mail for as I knew exactly what was carefully wrapped inside. Inside this box nestled in those irritating packaging peanuts and taped in bubble wrap were pieces 73 and 74 for my collection of china manufactured by the Wick China Company. I couldn’t wait to get home and place these two items with the other 72 pieces that were all made before 1914. 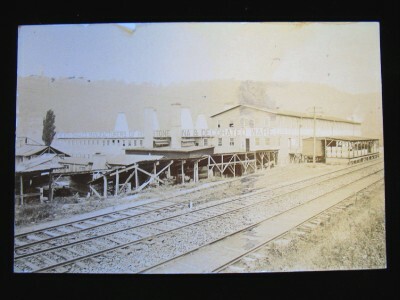 The Wick China Company was a commanding presence over the Allegheny River. 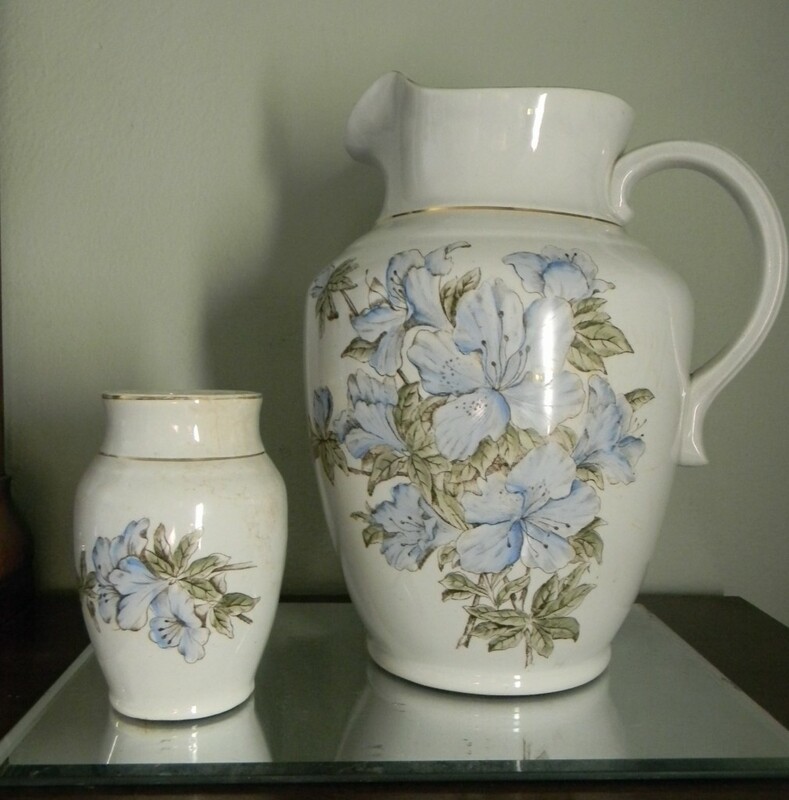 Once I arrived home from work that evening, I carefully removed each from the box and eagerly unwrapped their protective covering, I could see the beautiful blue tone floral print on each piece. Both these pieces were at one time part of a toiletry set that possibly graced some ladies wash stand in her chamber. The greatness that these two pieces were part of a set are not what has thrilled me as much as the pottery mark on the bottom. This will be the first in my collection to contain the KNOBLE T W C Co. on the bottom. The newest additions to my collection of Wick China. 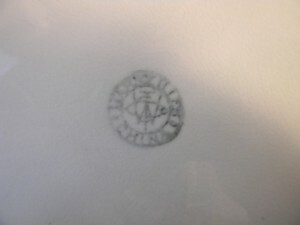 The KNOBLE mark from the Wick China Company. My collection up until acquiring these pieces, consisted primarily of the two most common marks which are the Aurora China mark and the one with two horses flanking a coat of arms with The Wick China Co. underneath. I also have another rare mark, a mark that I have never read about in pottery books, nor have I ever seen on another piece of Wick China. 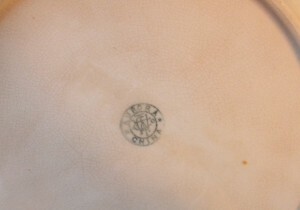 Due to the distortion on the bottom of the plate it is stamped on, this mark is somewhat illegible, but a portion can be read. It appears to be Marseillies or something close to it. The rest of the design resembles the Aurora Mark. The mysterious "Marseillies" mark from a Wick China Plate in my collection. Over the past year, I have had several individuals inquire about the pottery that once stood along North Water Street, where the new YMCA facility is currently being build. Many people are looking for the same information. How can you tell if it is Wick China? Do you know who worked there? How can you tell what year certain pieces come from? All these questions are certainly important. The truth is, after the storm destroyed the plant, and W. S. George purchased it, there is little to no documentation on the company. Beers History of Armstrong County briefly overs some insight about the company. 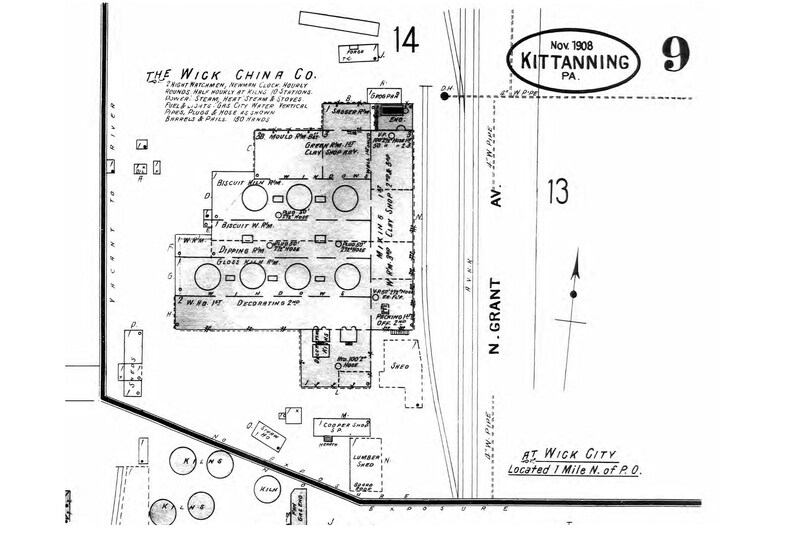 The Sanborn Fire Insurance maps for Kittanning, dating from 1903, 1908 and 1913, do offer a glimpse to the layout of the pottery. These maps show the kilns, painting and decorating areas, as well as offices, and a host of other areas that Kittanning and Wickboro residents earned a living. 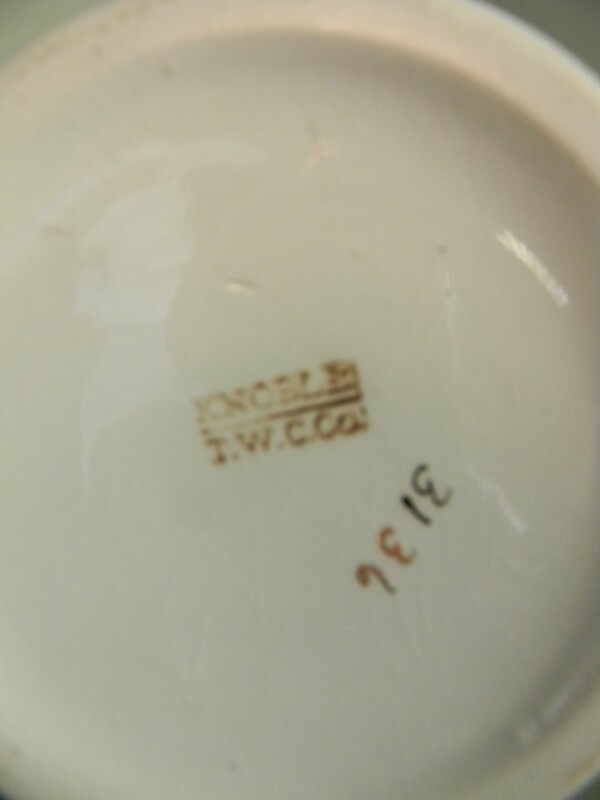 There are also a handful of pottery books on the market that have made reference to the company, as well as offer a few images of the marks to identify it as Wick China. Other than those records, nothing else has been discovered. Sanborn Fire Insurance Maps from 1908 offering some insight as to the layout of the pottery. 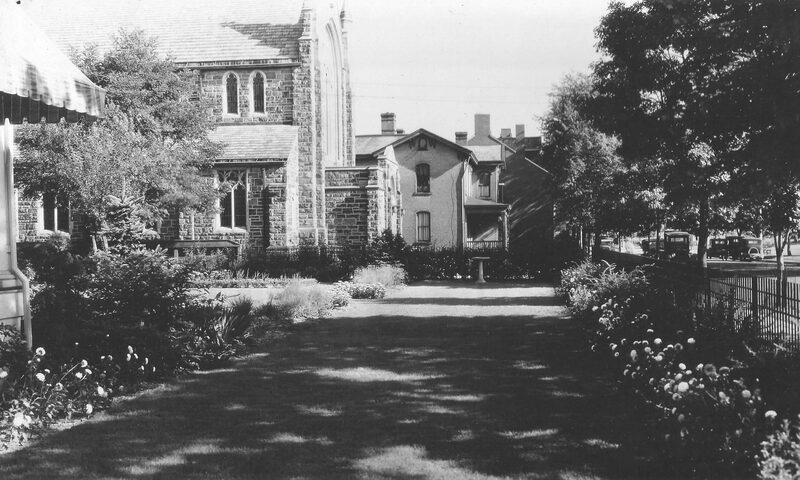 This past summer I have started to extract names from the Kittanning Borough and Wickboro 1910 Federal Census Records of those listed as being employed by the pottery. Currently, I estimate that I have complete about one quarter search. This will be the only known list or partial list of employees that punched the time clock at the pottery. I hope to create a database or table of these names and their residents and available information from the Census. One of two best known pottery marks on Wick China, Aurora with T W C in the center. 1908 Sanborn Map & Publishing Company, Limited, 117 & 119 Broadway, New York, NY. Lehner’s Encyclopedia of U. S. Marks on Pottery, Porcelain & Clay, 1988 By Lois Lehner. Grandma’s Tea Leaf, by Annise Heaivilin. Pictures of Wick China and markings from the collection of Christopher Anthony.